Let’s face it. C-3PO wasn’t very useful in the Star Wars films. R2-D2 was the droid that did all of the cool stuff. Don’t get me wrong, C-3PO has some value. 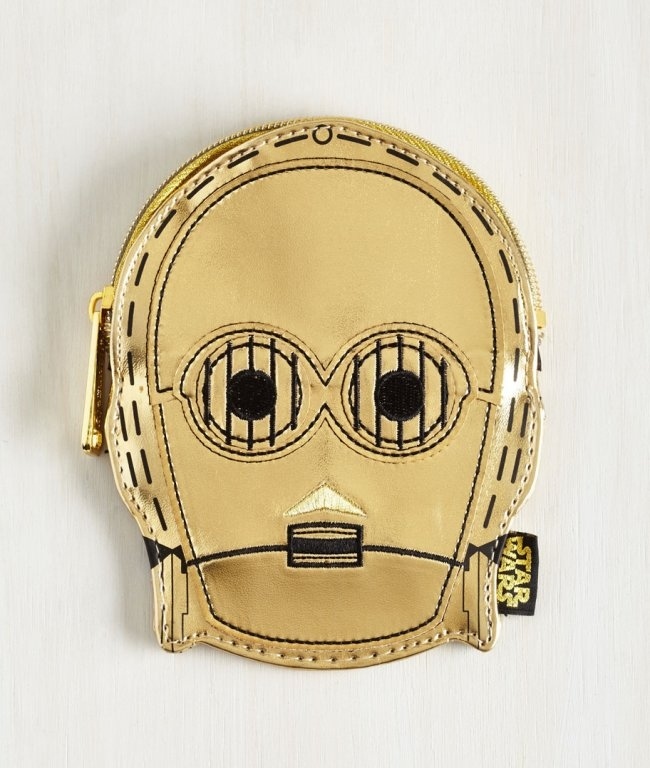 Like this C-3PO Change Purse. It helps human-cyborg relations by allowing you to pay with exact change. Proof that 3PO excels at some things; aside from being worshiped as an Ewok God, that is. This change purse looks just like the protocol droid’s head thanks to the embroidered details. It goes well with the R2-D2 purse. These droids belong together. Just like in the Star Wars movies. These accessories should never be apart. Also, 3PO won’t tell you the odds by quoting sell-by dates when you are buying perishables.